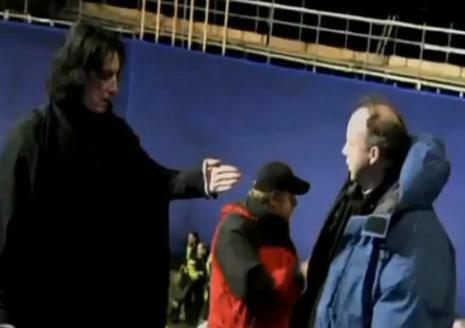 Alan Rickman : "Listen, Dave, I had parked the car just right here. And now, you're telling me that it's been impounded ?!" David Yates : "You forgot to put some money in the parking meter." David: "You know, the first sign of madness is hairy palms"
David: "Ha, ha, made you look!"